Our first event this year starts next week, Wednesday January 23rd. For two weeks, Polly will be in a joint selling exhibition with Mike Morrison, a photographer, who will be exhibiting and selling his images from St. Petersburg. 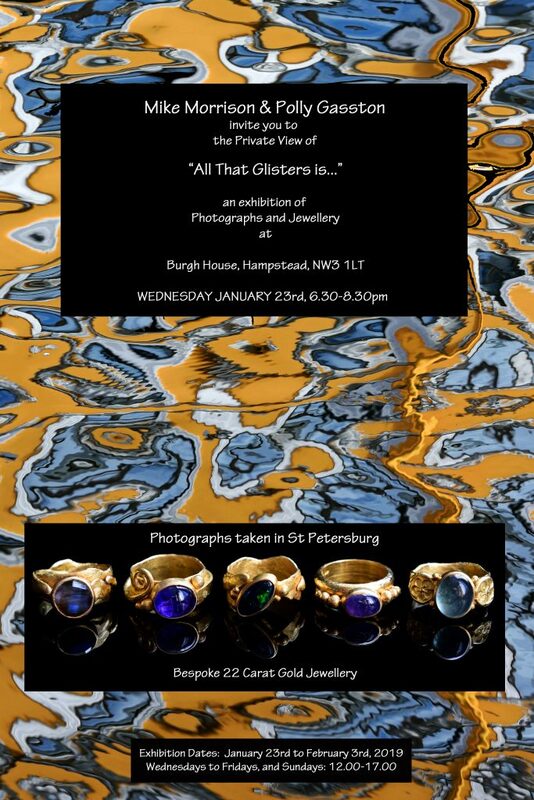 A stunning collection of 22ct gold jewellery and quite amazing photographs from St. Petersburg, it will be an exhibition to remember. Do come if you can; it’s being held at Burgh House in Hampstead, and is open on Sunday, and then Wednesday through Friday, 1200 to 1700. This invitation is to attend the open evening on Wednesday 23rd from 6.30 – 8.30. Polly (and Mike!) would love to see you if you can come, if not to the evening event then during their two weeks there.